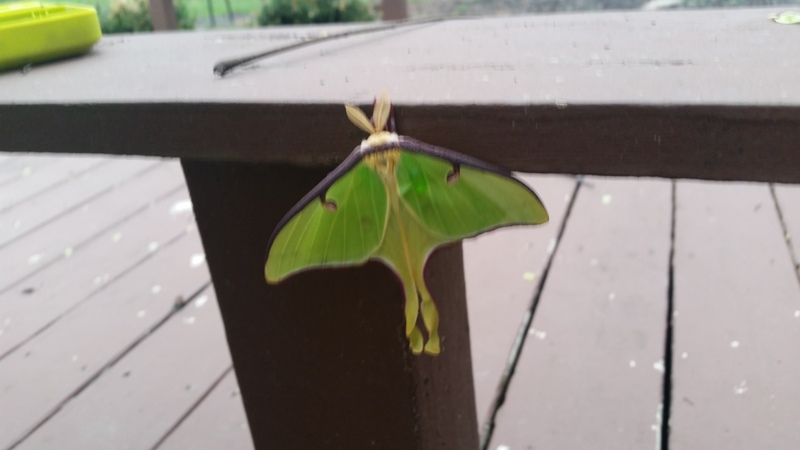 Observation notes: We noticed this moth on our deck on the 3rd and still there today which is the 4th. I believe it is a female. I'm hoping she is laying eggs but possibly may be dying. Not sure yet. The weather here has been rainy. I have a koi pond with hostas all around it.